Leveraging upon our extensive experience, we bring forth Milling Machines. These machines are precision engineered under the supervision of highly qualified and experienced engineers. 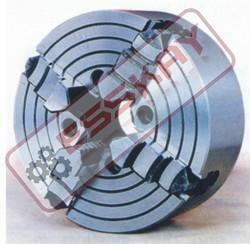 Furthermore, these are appreciated for durability, fine finishing, accurate dimensions and competitive market prices. We bring forth a wide range of ALL Geared Universal Milling machines that are made using hi-tech components sourced from knowledgeable vendors of the market. These machines are apt for all kinds of milling purposes and are highly sought after in all the related industries. We offer these machines at affordable prices and aim to achieve optimum client satisfaction. We offer MITR Type HYDRAULIC Milling Machines that are made using the knowledge gained from study of the recent technological trends. These machines are also offered in customized forms by our engineers and cater to varied needs and requirements of the clients. 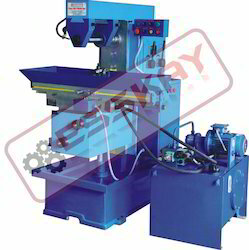 Our machines are highly sought after in the market and known for their durable and reliable nature. We bring forth a wide range of Universal Milling MACHINE SERIES"PUM" machines that are made using hi-tech components sourced from knowledgeable vendors of the market. These machines are apt for all kinds of milling purposes and are highly sought after in all the related industries. We offer these machines at affordable prices and aim to achieve optimum client satisfaction. We offer MITR Type MITR Milling Machines SERIES "PUA" that are made using the knowledge gained from study of the recent technological trends. These machines are also offered in customized forms by our engineers and cater to varied needs and requirements of the clients. 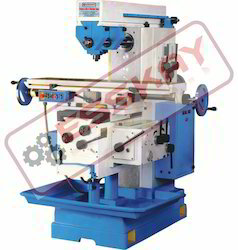 Our machines are highly sought after in the market and known for their durable and reliable nature. 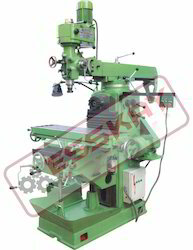 We bring forth a wide range of Universal GEARED HEAD Milling Machine machines that are made using hi-tech components sourced from knowledgeable vendors of the market. 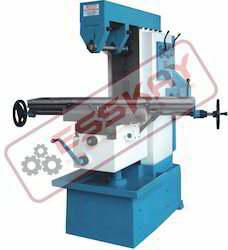 These machines are apt for all kinds of milling purposes and are highly sought after in all the related industries. We offer these machines at affordable prices and aim to achieve optimum client satisfaction. 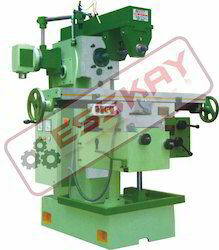 We offer MITR Type Geared head Vertical Milling MachineSERIES "EVM"that are made using the knowledge gained from study of the recent technological trends. These machines are also offered in customized forms by our engineers and cater to varied needs and requirements of the clients. 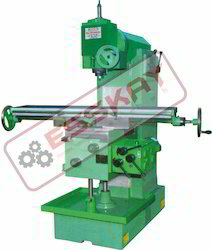 Our machines are highly sought after in the market and known for their durable and reliable nature. Looking for Milling Machines ?